(and yes I know they are not exact - but they're cheap and I have a few of them to upgrade and add to my fleet). For more information you can head on over to the main site but I wanted to share some photos of the progress so far. This is a multi-part project that I've been working on for some time as I get a few moments. 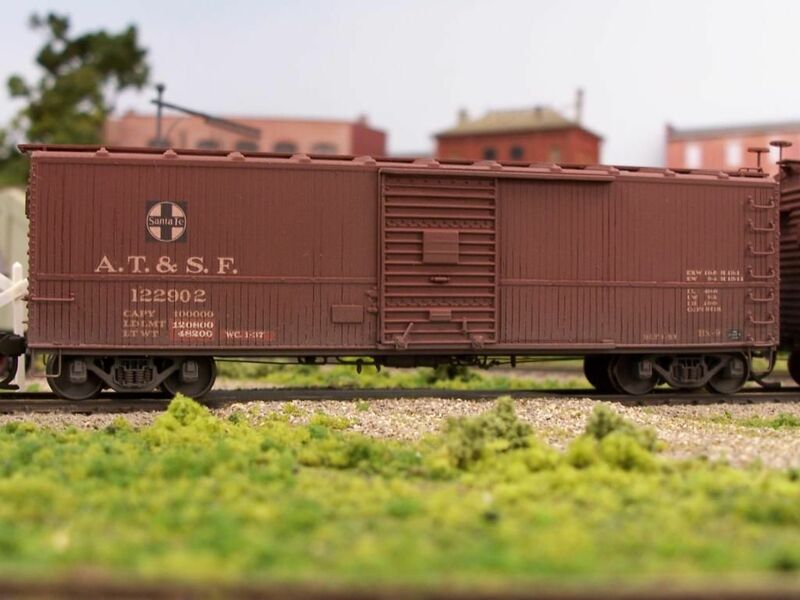 "This article provides a method to model the brake rodding of an AAR AB air brake system to get the maximum look with minimum effort. 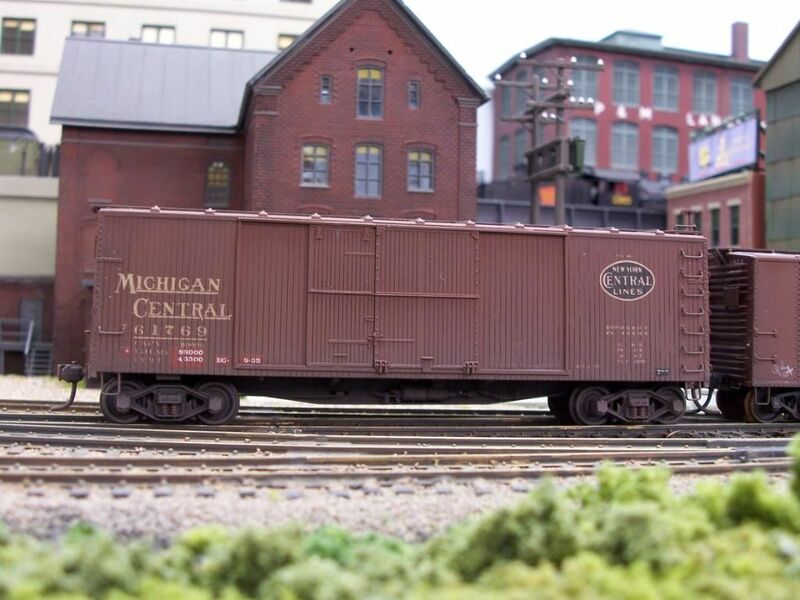 the design of many car types (especially boxcars, flat cars, and gondolas) makes it difficult if not impossible to see in regular operation. improves the look of your freight fleet and can be done in a short time (usually an hour or so)." "I’d like to thank Tony Thompson from the ‘Modeling the SP Blog’ who was the inspiration for this article. 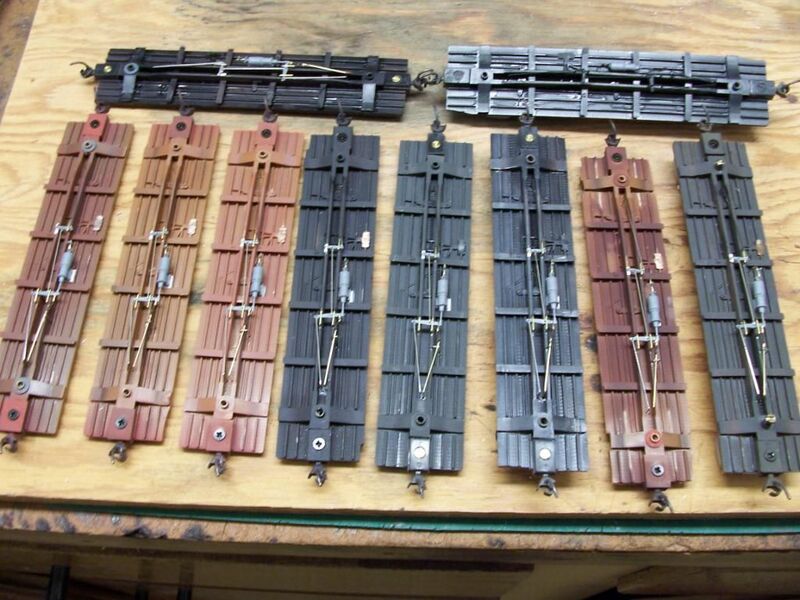 Tony’s minimalist brake line modelling omits piping and any other items of brake gear that are out of site on freight cars as we would ‘normally’ view them. Tony’s approach makes sense on a running model; after all if you can’t see it then why should you model it?" I took my inspiration from Tony Thompson's excellent article on his blog. All of that detail is in the original post on my site. Images in the next post. I'll be working on some underfloor weathering today and tomorrow and hope to be post some pictures of the rodding once this is done. That will tone down the brass and silver of the staples. 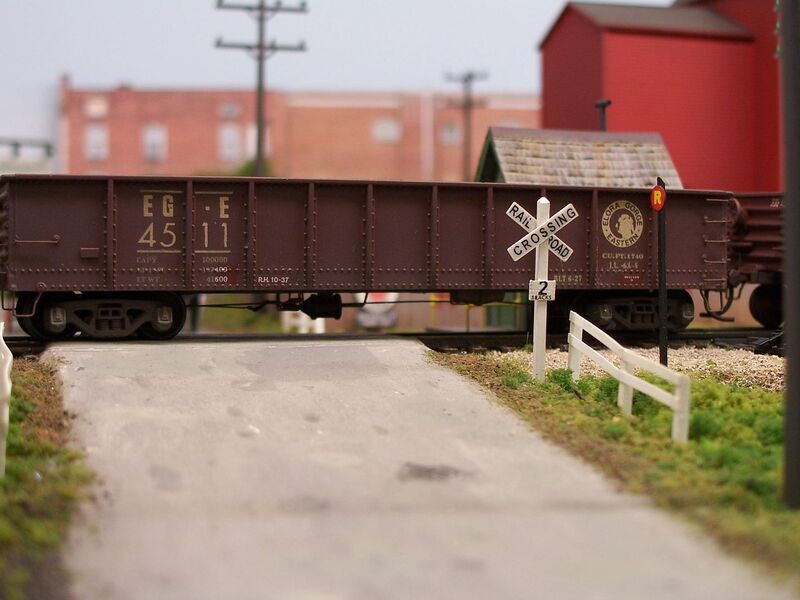 Works in progress as I'm updating my boxcar fleet. There are a few more to complete. 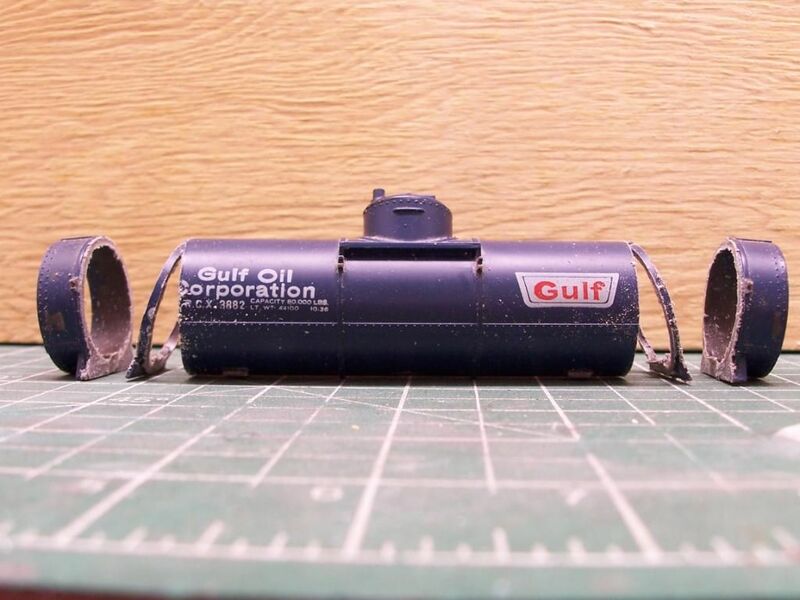 Last night I began weathering some of the car undersides to get an idea of how the work will look once operating on the layout. I'm glad that I've proceeded to this point. 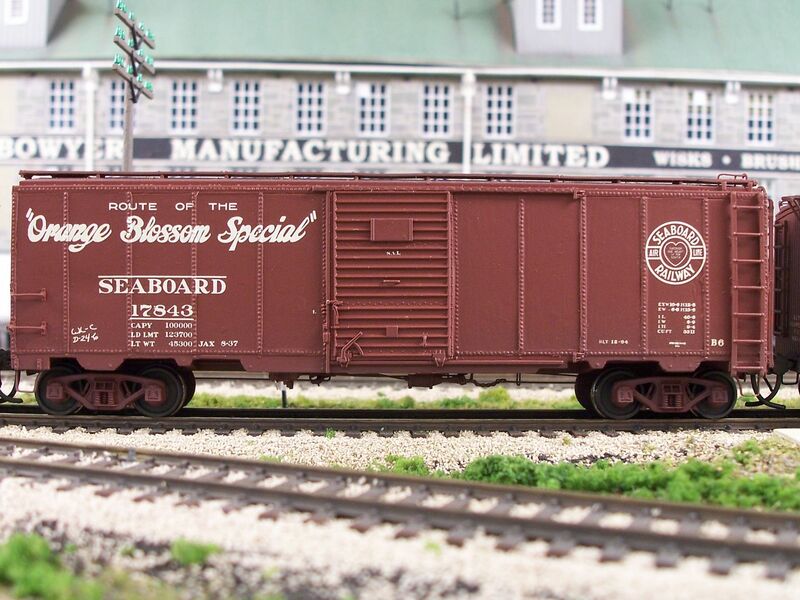 Southern 36188 - An E&C shops kit of the PS-1 50' Boxcar. From a lower point of view the rodding detail on this car disappears into the background clutter of hard angles and shadow (image taken in reflected sunlight on my workbench – late afternoon – with nice and flat tones). There is further weathering to be done on this car underside, but I like what I see so far. This is the one that had me worried that I'd made things too big and obvious using the 0.020 thou brass rod. With the base weathering on and the car upside down everything appears to be 'in scale' so I'm greatly relieved with the work so far. The original post is live on the HVL blog now with a couple more images for context. Thanks for stopping by to read this post. 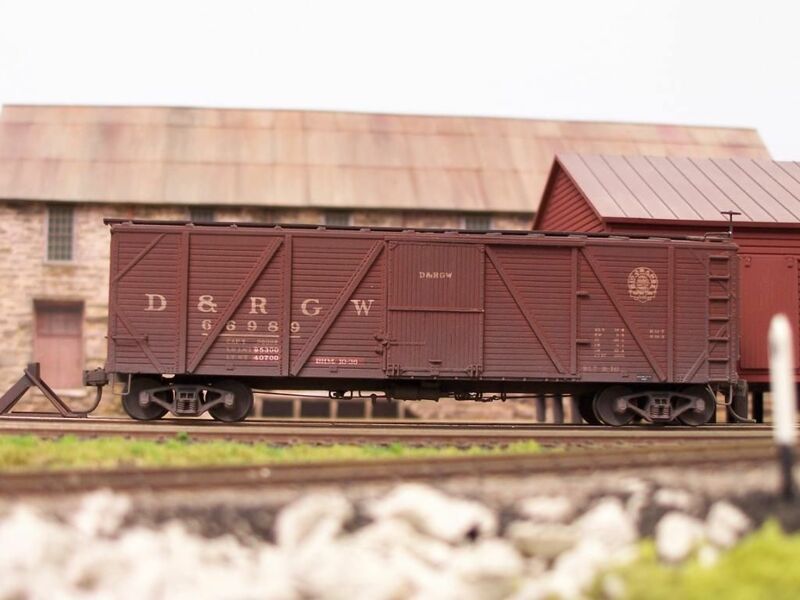 I thought I’d share more work done weathering the Southern Boxcar underframe and sides. 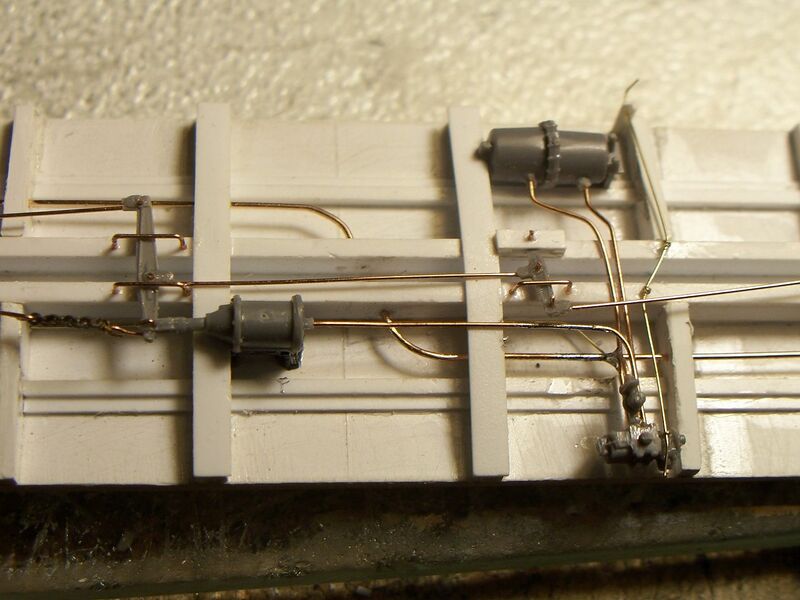 It’s interesting to see how the added brake gear has become just another part of the model, and no longer seems to dominate the underframe, just as I had hoped it would. 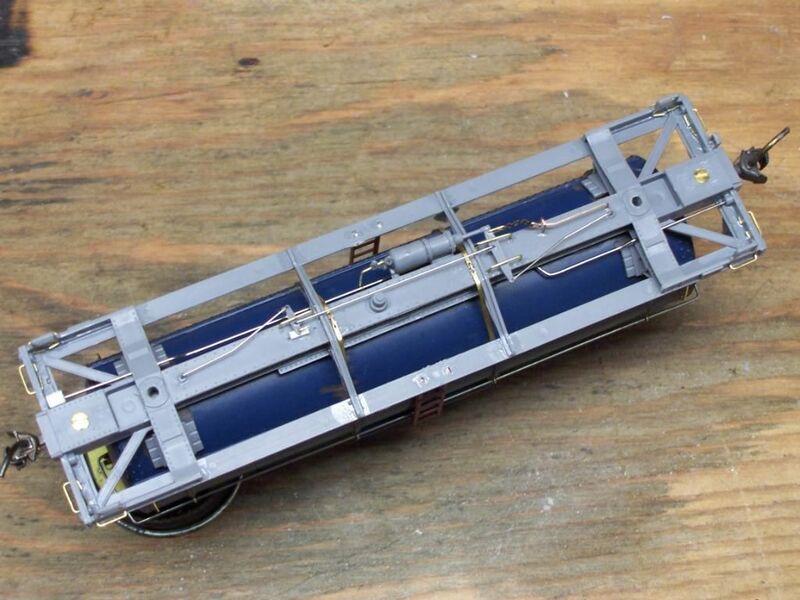 The underframe weathering is what I consider to be just right (considering that it will be hard to see). I had to add a bright white background behind the model for it to show up. Very pleased with how this work has come out. It looks perfectly functional, and most importantly, looks the business. You can read the entire post on my Blog by clicking this link. Thanks for following along and enjoy the day. (01-28-2019, 12:42 PM)doctorwayne Wrote: Nicely done, Andrew. Love your work. 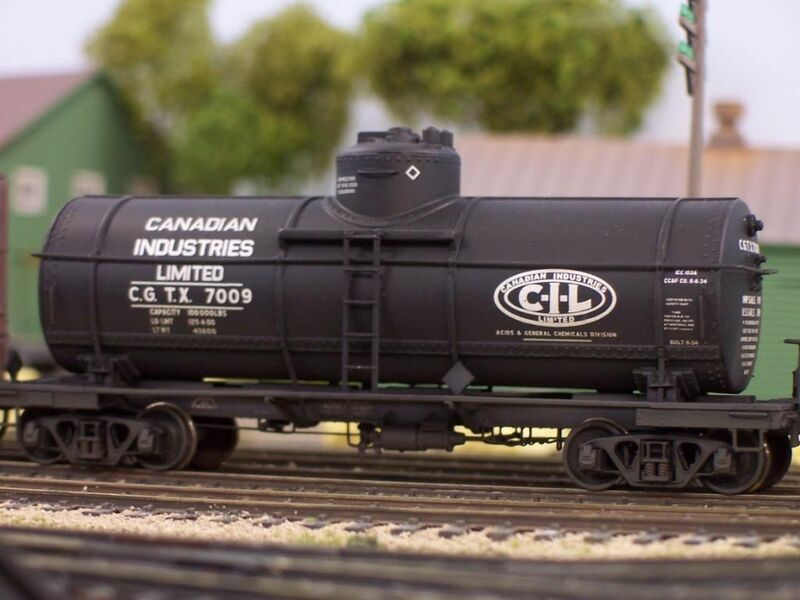 I particularly like the work on the tank car. I have a couple of shorty corn syrup cars to do at some point. Going to take your car as an idea starter and take alook at them.